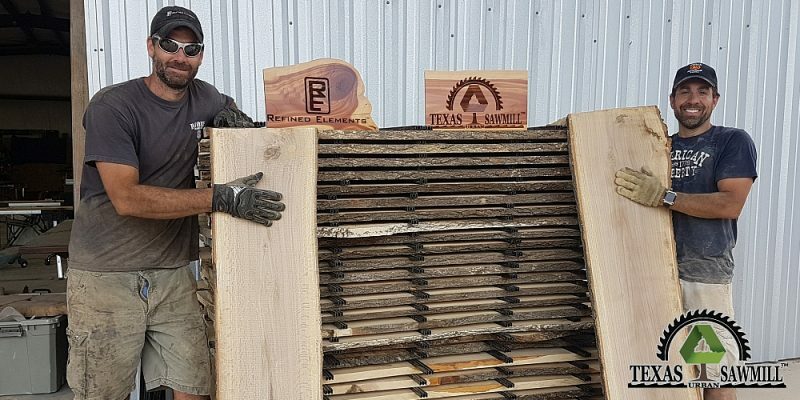 After 5 years of planning and continual re-investment, Refined Elements LLC founded the Texas Urban Sawmill LLC in late 2017. The sawmill is the largest production thin-kerf sawmill in Texas and one of the largest in the world. We officially opened for business in January of 2018 and welcome visitor appointments. We are a people and community 1st focused business! We donate our lumber and services regularly to non-profits and to support social development activities. 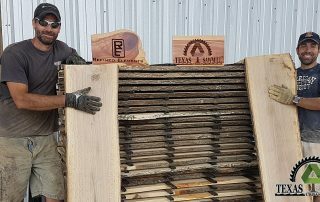 The sawmill is located on the same property in Dripping Springs, TX and serves as a subsidiary to Refined Elements LLC. We are proud to be innovating the sawmill industry here in Texas. We are the first established sawmill in Texas focused on tree reclamation advocacy and providing turn-key tree salvaging & re-purposing services for both residential and commercial clients. This means that we are involved in all aspect of re-purposing a tree from the initial salvage effort to final delivery of kilned dried, milled lumber or related finished lumber products. We mill for both the general public & other like-minded businesses at the most competitive rates. We also honor a best price guarantee against any Texas sawmill selling equivalent quality lumber. Please click our logo image to check out our website for more details and consider joining our newsletter. Refined Elements specializes in Naturally Inspired Furniture Design and follows a "Tree to Home" concept. We physically salvage dead or dying trees across Texas and many other states. We own & operate the TX Urban Sawmill which directly supports turn-key tree reuse projects & supplies high quality wood slabs and Texas hardwood lumber. We produce some of the finest quality Live Edge Furniture, Natural Edge Furniture, Dining Tables, Walnut Furniture, Pecan Furniture, Mesquite Furniture, Texas Handmade Furniture, Native Texas Hardwood Furniture, Texas Furniture, Natural Edge Tables, Reclaimed Furniture, Live Edge Tables, Live Edge Dining Tables, Live Edge Conference Tables, Live Edge Wood, Wood Slabs, Walnut Slabs, Shelves, Countertops and Solid Wood Furniture products found anywhere in the United States.